When walking the shores of Jacksonville Beach if you sit and watch the waves roll in it is easy to lose track of time and think about who has come and gone in this historic place. The Spanish influence changed the face of Florida forever with the introduction of cattle and citrus. They raised sheep, pigs, ducks and cotton, sugar and indigo. Together with the French, Indians and British, northern Florida became a melting pot. Before the Europeans ever arrived, the Timucua Indians were in Florida. These Indians adorned themselves and tattooed their skin and wore deerskin. The first encounters with the French were friendly, but this did not last. Over time through fights with the French and Spanish and destruction by disease, the first inhabitants of Jacksonville Beach became extinct. 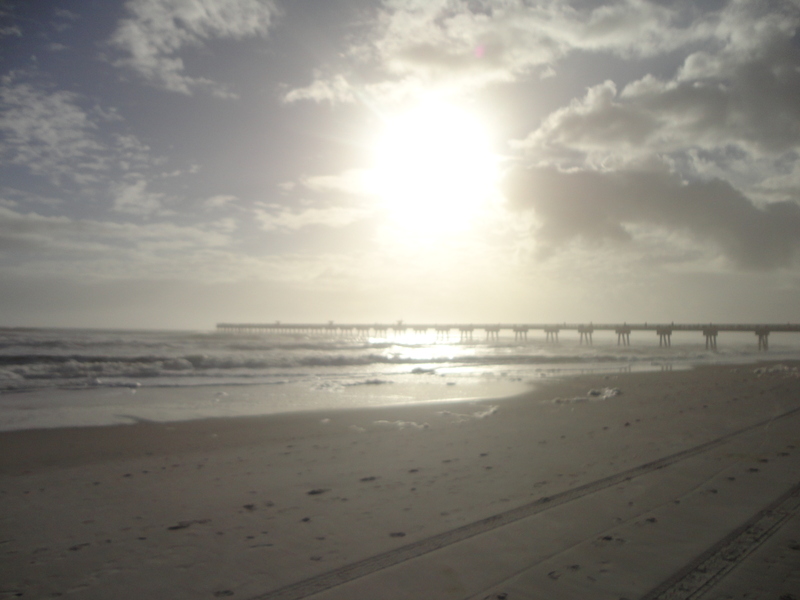 As far as Jacksonville Beach, it was originally known as the town of “Ruby” around 1884 and was so named by W.E. Scull, a railroad surveyor for his daughter. By 1885, the railroad and depot were completed and ‘Ruby’ was transformed into a tent city as crowds of beachgoers arrived with tents in which to live. By then the town was renamed Pablo Beach, after the San Pablo River, a name it kept for nearly 30 years, before settling in as Jacksonville Beach in 1925. Today the beach is filled with surfers, walkers and other water enthusiasts. A hundred years from now will they wonder who walked these shores?